Proper nutrition is critical for 6-pack abs, but diet is such a nasty word. Hunger pangs and depravation are thoughts that run through our minds when we think of cleaning up our eating habits. It does not have to be so. I believe when you consistently add good habits, bad habits diminish. So I tell you to eat More Often/Protein/Fish/Vegetables/Eggs/Grain. Eat more often: If you do nothing except to take your present calorie intake of 2 or 3 meals to 5 or 6 smaller meals you will lose fat. Your body conserves energy (calories) when it has no food for extended hours. Then when you eat a large meal it automatically stores as much of that as fat as possible. A furniture salesman once told me he had a coffee and muffin for breakfast with the same at lunch. His day was hectic and proper nutrition had to wait till the evening meal at home. This man was obese, all from one hefty meal. Eat more protein: At every one of your 5 or 6 mini-meals, eat some protein. This includes skinless chicken, turkey and center cut pork loin all of which are good choices. Protein builds muscle. It also helps to curb our appetite. Adding some lean protein to our daily nutrition will do a body good. It may also displace some starch, carbs and fat. Eat more fish: I love my salmon and trout! These cold-water fish have heart, friendly, fat burning fats. Yes fat that cleans your arteries and burns your body fat. Be careful to introduce small quantities of these fish. The high fat content may play havoc with your bowels. One or two portions a week to start then work up to 5 or 6 broiled fish dinners a week. Eat more veggies: Mom was always after us to eat our veggies and it was sound advice. Fibrous carbs from broccoli, cauliflower, green beans, peppers, spinach, celery, and the like are a slow but steady source of carb energy that does not easily convert to fat on your belly. Learn to love raw or steamed veggies for a washboard waist. Fresh asparagus spears or brussel sprouts steamed just enough to cook, taste just like candy to me. Try a little at a time, eventually your taste buds will discern the subtle flavors in veggies. 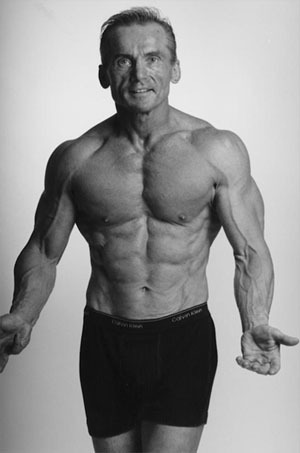 Eat more eggs: Bodybuilders of old use to eat a dozen eggs or more everyday. This was good for the muscles, but may have raised cholesterol levels. That is not necessarily so today. I recommend egg whites (yes I throw the yolk away) 6 to 9 a day as snacks or with salads. Eggbeaters have egg whites only that along with low fat cheese make a mean omelet. The best whole food protein is the egg. Eat more grain: Oatmeal, cream of wheat, barley, Red River cereal, etc. provide a steady stream of carb energy. That’s not all. They move things along. Yes, that’s right, bowel movements. The faster you expel digested food the better. Better for your health and for your 6-pack. So there you have it, EAT MORE!! No the candy bar by that name, but more good food! Develop a taste for the wholesome by adding good choices as the ones above. Good habits displace bad, like light dispels darkness!